“The Only DVD Course of its Kind Available to Dentists!" Is Your Practice Mercury-Safe? . . . It Needs to Be! Do you know that the seemingly routine act of unsafely removing amalgam fillings places you, your staff, your patients, and the environment at risk of occupational exposure to toxic mercury vapor that far exceeds all of the government's regulatory agencies minimal safety standards for mercury vapor? More and more people are aware of the toxic effects of mercury and they will want to know if they are being protected at the dental office. Having a Mercury Safe dental practice is the new growth area in dentistry. Once you are Mercury Safe we'll show you how to generate Internet Exposure so new patients searching for a Mercury Safe Dentist will easily find you! To learn more about the many benefits of practicing Mercury- Safe Dentistry, Click Here! Can You Really Afford Not to Be Mercury-Safe? There is a Significant Difference between being Mercury-Free and Mercury-Safe! Today, more than 50% of general dentists no longer place amalgam fillings. But it's no longer enough to just be Mercury-Free. After all, the greatest exposure to mercury vapor at the dental office occurs not when amalgam fillings are placed, but when they are unsafely removed! Minimizing occupational exposure to mercury is essential because continuous occupational exposure to mercury is associated with numerous symptoms and diseases, including heart disease, memory loss, emotional disorders, reproductive and developmental disorders. Click Here to learn more! The ADA is concerned about dentists and their employees. It also recognizes the need to make the dental office as safe for mercury as possible for them. Clcik Here to read their position on this subject. DVD Purchase Bonus... Click Here for Info! Protect Yourself, Patients and Staff! Protecting Yourself, Your Staff, Your Patients, and the Environment from mercury . . Promoting Your Practice as Mercury-Safe! Generating New Patients . . 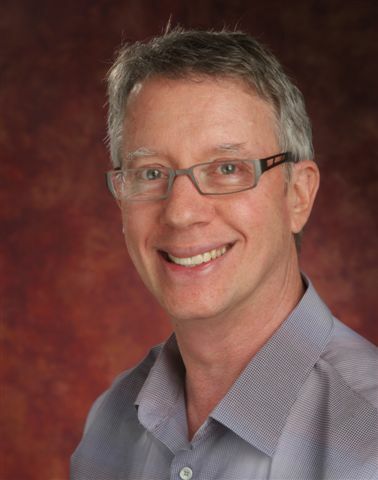 Minimizing the Risk of Lawsuits . . The DVD Course will show you how you can easily and cost-effectively accomplish these worthwhile goals. Use the Main Menu to learn more about the importance of being Mercury-Safe. Become Mercury Safe & Grow Your Practice! A DVD You Can't Afford Not to Have. Our unique DVD is the only one of its kind available to dentists and includes everything you need to know to minimize occupational mercury exposure and to easily and quickly become a Mercury-Safe Practice. Doing so will benefit your practice in many ways. Don't wait for government regulations regarding mercury to be imposed . . . the time to become Mercury Safe is now! 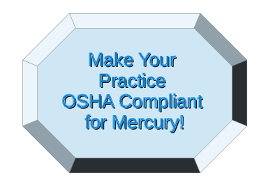 Nothing you could do for your practice will be as important as making your office Mercury-Safe. To learn more about Promoting Your Mercury-Safe Practice, Click Here. The DVD is from a seminar presented by two of the leading authorities on Mercury-Safe Dentistry, Dr. Paul Rubin and Dr. Tom McGuire. Click Here to learn more about them. Our DVD "How to Make Your Practice Mercury-Safe" Will Change How You Practice Dentistry! The DVD of our New Directions Dentistry's Course on How to Make Your Practice Mercury Safe: Minimizing Occupational Exposure to Mercury at the Dental Office was filmed live in Portland, Oregon and contains everything offered at the live course. 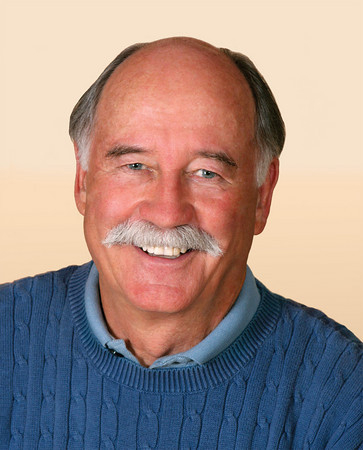 Purchasers of the DVD will receive a $50 discount on a listing with Dr. McGuire's Mercury-Safe and Mercury-Free Dentist Internet Listing, plus free access to Dr. McGuire's Referenced and Abstracted Article Database on mercury. This is the largest organized database of its kind on mercury and normally sells for $225. To learn more about the other bonuses offered with the purchase of the DVD, please Click Here. Because of the importance and need for the equipment and products necessary to make the dental office fully Mercury-Safe, we included only those companies who offered the very best products and equipment. Dr. Rubin uses these products in his Mercruy-Safe Practice and introduces, discusses and demonstrates their value and use on the DVD. Each product exhibitor was interviewed at the seminar and the interviews are included on the DVD, along with the product description and contact information. Thus, those purchasing the DVD will be provided the same product information that was presented to the attendees of the seminar. To learn more Click Here! New Directions Dentistry is pleased to offer 6 hours of Continuing Education Credits (CE) to dentists who purchase the DVD. For those who are members of the Academy of General Dentistry and want your CE Credits to be eligible with that organization you will be required to take an online exam. Information about how to take the test will be provided when you purchase the DVD. Click Here to learn more about CE Credits.